The sale period is a hectic period and you don’t know where to start first. During this period despite we don’t like to say it… we make a lot of bad bargains. Because that one item is so much discounted or we buy something in the wrong size… This aren’t of course not huge bad bargains, but the sale period is a bit addictive and also tempting. Because we wanna do a lot of good sale shopping. For that reason I’m going to give you some good tips! If you keep these in mind you can say bye bye bad bargains and hello to the amazing sale items! Would you like to sport more this year? Then you must look for sport clothing. Or do you need some basic items or a new pair of shoes? Then you must go looking for that. So be prepared and know what you need, so make a little list. Because with this you can go and search more with a target in mind, you now what you want and need. Do you know the feeling that you are sale shopping and just whole the store is just a mess with all the sale items laying everywhere? Non, it’s not cool to do sale shopping like that… So if it is possible start as early with your shopping trip as you can. Now that you know what you need, you can set up a more targeted budget. Take this with you in cash, you may not spent more that you set as your budget. You can also go a bit more extremer and only take your budget with you and nothing else from a bankcard. This way you know that you can’t spend more money that your budget allows. Something what I always do when I don’t know of I’m doing a good deal, that is some reaches online or I can find that item online or somewhere else for a better price. Or I ask my boyfriend or mommy with a whatsapp messages for some advice. But you can also take that person with you. And who knows it’s your lucky day and the person not only can give you good advice but also carry your bags. 😉 (just kidding, but you never know 😉 ). Almost everybody makes a little mistake with na impulsive buy. Some tips to avoid this is to ask yourself some questions like: how many times am I going to wear this? Or do I already have something that looks like this? Can I combined it easy with something that I have? When your ask these questions you are going to think more about what you’re going to buy. So with this you can avoid an impulsive buy. Did you after the questions still did a bad buy? Then they are enough site online where you can sell your impulsive buys on. You can also sell it with some clothing you don’t were any longer on a clothing fair. With this you can earn a little money and you can also take a look or you see other nice items for a good price. What it’s also a solution it to tread your clothing with other people. This is a nice way and this also happens on clothing fairs. – What do you need to invest in during the sale period? During the sale period it is wisely to invest in good basic items. Like the perfect jeans, a good (leather) jacket, good basic shoes, black dress,… Because such a timeless items sometime can be a bit pricey… But if you can score this in the sale, than you know that you did an amazing deal! Because timeless, basic items are perfect and easy to combined! Because a lot of you also love online sale shopping, I will also share a good tip for this. Namely compare, compare and compare! That one online shop maybe sells it for less or with free shipping or… So compare online shops for sure! 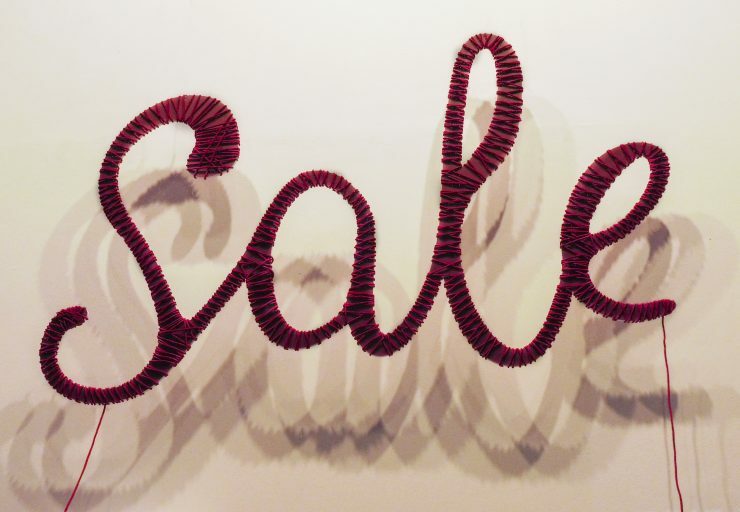 With these tips you will score for sure some amazing deals during the sale period! I hope that these tips can help you and of course happy sale shopping! Super handige tips! Ik ben gek op de uitverkoop. Nagaan wat je eigenlijk nodig hebt vind ik een heel goede tip. In de solden ga ik vaak gewoon naar de winkel zonder een idee van wat ik eigenlijk wil vinden. Met soms inderdaad een miskoop tot gevolg!